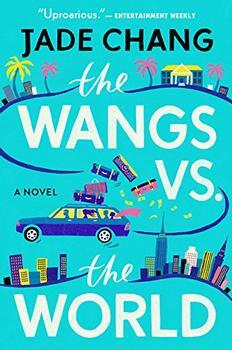 Jack Shanley is a well-known New York artist, charming and vain, who doesn't mean to plunge his family into crisis. His wife, Deb, gladly left behind a difficult career as a dancer to raise the two children she adores. In the ensuing years, she has mostly avoided coming face-to-face with the weaknesses of the man she married. But then an anonymously sent package arrives in the mail: a cardboard box containing sheaves of printed emails chronicling Jack's secret life. The package is addressed to Deb, but it's delivered into the wrong hands: her children's. With this vertiginous opening begins a debut that is by turns funny, wise, and indescribably moving. As the Shanleys spin apart into separate orbits, leaving New York in an attempt to regain their bearings, fifteen-year-old Simon feels the allure of adult freedoms for the first time, while eleven-year-old Kay wanders precariously into a grown-up world she can't possibly understand. Writing with extraordinary precision, humor, and beauty, Julia Pierpont has crafted a timeless, hugely enjoyable novel about the bonds of family lifetheir brittleness, and their resilience. I began sleeping with your husband last June. We were together for seven months, almost as long as I've known him. We did it in my apartment. Or I went to his studio, a lot. One time at the Comfort Inn in midtown, last August. He used his Visa. Look it up. I know about Kay, her getting bullied at school, and I know about when Simon got caught shoplifting at the Best Buy. I never asked to know about your family. It's just that sometimes, he needed me. In movies, when the woman is dumped, one thing to do is to take all the love letters and pictures from photo booths and old T-shirts, and to set them on fire. This is to help the woman move on. This is adult fiction at its finest. From the language to the themes to the structure that breaks the rules – interrupting the plot in order to spin out the entire dénouement of their lives mid-book, then returning to the previous micro-view of the present – Among the Ten Thousand Things is not a comfortable book to read, but a fiercely rewarding one. (Reviewed by Donna Chavez). [A] sharp debut . . . [a] refreshingly honest family drama. [A] tender, delicately perceptive account of one family torn apart by infidelity . . . Pierpont’s voice is wry and confident, and she is a fine anthropologist of New York life, especially for those creative types who never quite manage to fit in with cultural expectations. Among the Ten Thousand Things speaks to what makes a person, and a family, tick, even when it can so easily seem utterly inexplicable. Pierpont illustrates how hard it can be to grow up, at any age—just one of the many reasons Among the Ten Thousand Things is such an impressive debut. [An] excellent, insightful first novel . . . a gripping portrait of the disintegration of the Shanley family . . . Pierpont brings this family of four to life in sharply observed detail. . . . An acute observer of social comedy, Ms. Pierpont has a keen eye for the absurd. Technically, of course, this is a domestic drama. But between Pierpont’s literary finesse and her captivating characters, it reads like a page-turner. Bracing . . . Pierpont’s killer ending reveals the long reach of the affair’s consequences (sorry, no plot spoilers). Consider this a twisty, gripping story—that packs an emotional wallop. Devastating... It's the characters' rich emotional lives that propel the story forward... Much of [the book's] lingering force comes from Pierpont's sharp-witted detailing of human absurdity. With acid wit and thoughtful melancholy, Pierpont catalogs the wreckage, mourns the death of innocence, and measures varying degrees of recovery, achieving a Salingeresque ambience. Starred Review. The perennial theme of marital infidelity is given a brisk, insightful, and sophisticated turn in Pierpont's impressive debut... This novel leaves an indelible portrait of lives blown off course. Starred Review. A treat for fans of Jonathan Franzen, Jami Attenberg, and Emma Straub... shows off an exciting new voice on the literary landscape. This book is one of the funniest and most emotionally honest I've read in a long time. Remarkable... Julia Pierpont displays not only wisdom, but real tact as a writer, knowing how much to say, how much to leave out, how much to imply. Every page of this gorgeous novel contains such joys that you won't want to stop reading for anything. Poignant, surprising, and fiercely intelligent, Among the Ten Thousand Things is about the sturdiness and tremendous delicacy of the bonds between parents and children. Don't miss this powerful debut. Sharply observed and deeply illuminating, Among the Ten Thousand Things marks the beginning of what is sure to be a brilliant career. This is a sad but realistic story of life in artistic NYC. It was a good read.